Cirrhus9 is an up-and-coming Cloud Service provider that has been in business since 2008. The ANTARA Group partnered with Cirrhus9 in Q4 of 2013 because of their knowledge of the industry and the flexibility to come up to speed quickly in new environments. They provide Infrastructure-as-a-Service (IaaS) with a focus on the healthcare and life sciences verticals. >> Why we like them: A personable and professional team of people providing top-notch consultants that are experienced in the architecture, implementation and managed services of your environment. >> Who would benefit: Any company, SMB or mid-size, interested in moving all or a portion of their infrastructure into a Cloud-based solution will benefit from the knowledge and expertise of the Cirrhus9 staff. Their industry knowledge is exceptional and their multiple cloud offerings allow the flexibility companies want. 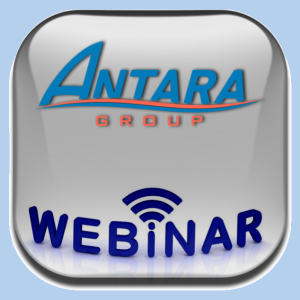 >> ANTARA Inside Track: We really like their approach (customer intimacy and flexibility). Cirrhus9 builds a strong relationship with their clients and works with them to provide a solution that meets their specific requirements. Add that focus to their knowledge of the healthcare and life sciences sector and you have a winning combination.